Healing Vaidya Foundation does not now, or ever has endorsed, supported or had any financial ties/affiliations with any hospital, doctor or organization. Contacting, visiting or paying for services or products from any listed entity is at your own discretion. Why withhold the name of the hospital that treated Amit in Gujarat? Given that the hospital was just a starting point for Amit, Healing Vaidya Foundation wished to remain on the side of caution when revealing the name. As Amit's relationship with many other patients is openly discussed in the book, to protect and respect their privacy, this information was previously withheld. What is the name of the hospital and where can I get more information about it? Due to excessively high demand, HVF has agreed to disclose that Laxmiprasad Hospital featured in the book. Please click here for more information about the treatment and the hospital. Healing Vaidya Foundation, its board and its founder Amit Vaidya - do not endorse or support this hospital. Patients and caregivers are advised to visit or be treated there at their own risk. Why doesn't HVF want others to do cow therapy especially if it cured Amit? There are many factors that led to Amit's recovery. His beliefs are simply that, his. The point of the book was to share his personal experiences not recount his complete medical history. Only the scientific community can vouch for a cure. HVF is empowered by Amit's treatment choices but does endorse them. Can I visit the village where Amit stayed? Amit stayed as a guest of a local farmer, his family and their village. Imposing on private citizens, their land and their animals is not something HVF can support. Can I meet with Amit, I need his help! At present, despite his wishes to be able to be there for the many who reach out to him, Amit is no longer meeting with patients and their family members directly. Can Healing Vaidya Foundation help me then? Healing Vaidya Foundation is not set up as a NGO that provides personal, direct treatment and/or financial support for patients. It is the objective of HVF to engage patients and provide them with information, access to alternative medical choices and providing empowerment through publishings, film and television. Why not charge for patient services or endorse specific products? Despite the dire need to fund and further expand HVF, we have maintained the belief that any information or knowledge exchanged amongst ourselves, the NGO and patients must not be financially motivated. Inspite seeing over 10,000 patients over the last 2 years, Amit has made it his goal not to become affiliated or dependent on any organization or company that compromises the ability of the NGO to speak openly and candidly about wellness. How can I help HVF? At present, there are two key ways to get involved with HVF. ​One is through a direct financial contribution. As a young NGO, HVF needs all the support possible to ensure that publications and other media projects see the light of day. It is our goal that the proceeds from these projects will then help to produce additional material for patients and individuals alike. The second way to help is through becoming an EMPOWERMENT AMBASSADOR. What is an Empowerment Ambassador? 4) to inspire others who have been empowered to share their journeys with the greater HVF community via the soon-to-be launched HVF blog board. What do I get for my money if I donate to HVF? 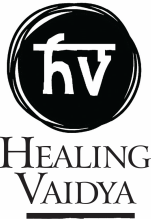 Healing Vaidya Foundation is not a storefront, we aren't distributing blankets and we aren't offering free screenings for patients. What we are doing is using media to change the narrative of the stories told and shared. It's important to "mainstream" alternative choices, to discuss death and end of life care openly and honestly before time runs out and finally, we must educate ourselves about our bodies, its needs and how to accept whatever outcome lies ahead being in our healthiest shapes to combat it. ​Your donations are going towards making a social impact and providing the potential seed of empowerment that gives a patient the courage to ask their doctor a question before agreeing to a treatment course, or a mother to converse with her son about her palliative choices or simply a villager learning that her disease is not a death sentence and that she has a choice. HVF is needed for the many voices that have gone invisible way before their time and to ensure that every patient before, during or even after any form of treatment or disease is living their life as an empowerer. We need your help!